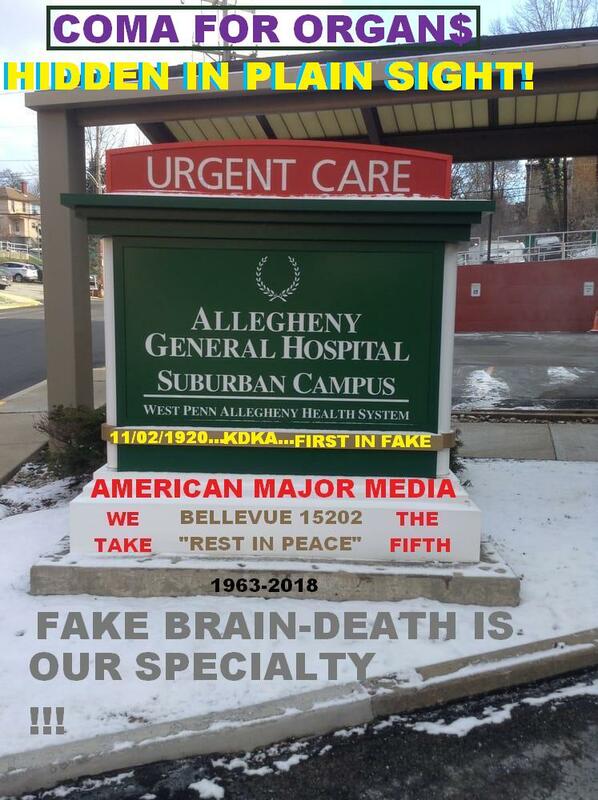 PITTSBURGH'S ED JITNEY SAYS "DON'T BE BRAIN-DEAD"...911 IN A NUTSHELL...93 U.S. FEDERAL PROSECUTORS PROVIDE US WITH HARVARD'S HIDDEN HOLOCAUST OF AMERICA... The Magic of Hyperventilation ©G.M. Woerlee, 2005–2018 An incident occurring during the first few weeks I started my career in anesthesia made a deep impression upon me. It was the beginning of 1977, and I had just started an anesthesiology residency in the Fremantle Hospital in Western Australia. Everything was new and unfamiliar. I asked the anesthesiologist standing next to me, why the patient who was undergoing an operation under general anesthesia was sweating so profusely. His reaction surprised me, and was one I never forgot. He grabbed the anesthetic chart, began fanning the patient and himself, and remarked: “Warm isn’t it?” It was not warm in the operating theater. The patient was simply inadequately anesthetized using the then popular Liverpool technique of anesthesia. The Liverpool technique of anesthesia was first described by Thomas Cecil Gray during 1952. It consists of the now standard method of using separate drugs to provide analgesia, muscle relaxation, and unconsciousness, while mechanically ventilating the patients with a respirator to prevent hypoxia (Gray 1952). Subsequent studies revealed that anesthetic drug dosages could be further reduced by mechanically hyperventilating patients under general anesthesia (Dundee 1952, McAleavy 1961). This latter effect is but one of the several fascinating effects of hyperventilation on the human body. In fact, hyperventilation exerts so many effects upon the body relevant to anesthesia and the functioning of the brain, that it deserves a separate discussion. So what is hyperventilation? But first, what is the role of carbon dioxide in the body? Role of carbon dioxide in the body Carbon dioxide is a byproduct of the energy-generating chemical reactions occurring within the cells of the body. Carbon dioxide produced by these chemical reactions within the cells of the body diffuses into blood which transports it into the lungs where it is eliminated from the body in exhaled air. But carbon dioxide is not just an inert waste product. It is also a vital component in the maintenance of the chemical environment of the body, because it also regulates the acidity of blood, as well as other fluids outside and inside each cell of the body. Regulation of acidity and alkalinity within the tissues of the body is extremely important. The machinery of the body is driven by myriad complex chemical reactions, and the sum total of these chemical reactions result in optimally healthy body function at a certain levels of acidity and alkalinity inside and outside the cells of the body. Acidity and alkalinity of fluids is expressed in terms of the “pH”, a scale varying from 0 to 14. A pH = 0 is maximally acid, a pH = 7 designates neutrality, being neither acid nor alkaline, while a pH =14 is maximally alkaline. A fluid is acid if the pH is less than 7, and is alkaline if the pH is greater than 7. Blood is slightly alkaline with a pH = 7.4, while the insides of cells are slightly acid with a pH = 6.9. Carbon dioxide (CO2) reacts reversibly with water (H2O) to form carbonic acid (H2CO3). But carbonic acid is unstable at body temperature and is usually in the ionized state, forming hydrogen ion (H+), and bicarbonate ion (HCO3-) as in the chemical equation below. CO2 + H2CO3 ⇔ H+ + HCO3- At any given partial pressure of carbon dioxide within the tissues of the body, a balance exists between carbon dioxide and the bicarbonate concentration. This balance between carbon dioxide and bicarbonate ion determines the pH in blood and other tissues of the body. The Henderson-Hasselbach equation used to calculate the pH in blood shows this relationship in mathematical form. pH = 6.1 + log[HCO3-] ÷ (0.03 × PCO2) The normal partial pressure of carbon dioxide in arterial blood is about 40 mmHg, and the normal bicarbonate concentration is about 24 millimoles per liter. Put these figures into the Henderson-Hasselbach equation above, and you get the pH of arterial blood which is 7.4. One more fact is needed to fully understand the effects of hyperventilation. This is the amount of bicarbonate in the body. As mentioned above, the concentration of bicarbonate in blood is 24 millimoles per liter. This is also true for all the fluids in between the cells of the body. Inside the cells of most tissues, the bicarbonate concentration is about 8 millimoles per liter. This means there is a lot of bicarbonate in the body. It takes time before such a large mass of bicarbonate ion decreases, or increases in size as a result of changes in blood carbon dioxide concentration. And it is this large mass of bicarbonate that lies at the origin of the effects of hyperventilation. So what is hyperventilation? What is hyperventilation? In practical terms, all carbon dioxide is eliminated from the body as a gas in exhaled air. When the volumes of air breathed into and out of the lungs increases above what is normal, more carbon dioxide than normal is eliminated from the body. This lowers the pressure of carbon dioxide within the body, whereby carbonic acid changes back to into water and carbon dioxide, eventually resulting in a new equilibrium between bicarbonate ion and carbon dioxide. CO2 + H2O ← H2CO3 ← H+ + HCO3- But this spontaneous chemical reaction whereby carbonic acid returns to water and carbon dioxide, is not as rapid as the speed with which carbon dioxide is removed from the body by hyperventilation. So when body carbon dioxide pressure is suddenly lowered relative to the bicarbonate concentration, the pH increases above normal because the bicarbonate concentration does not decrease as rapidly. The condition where pH of the body is increased above normal is called “alkalosis”, and all the body fluids and cells become more alkaline than normal. This effect lies at the basis of the mental effects of hyperventilation. So what are the mental effects of hyperventilation? Thresholds and mental effects of hyperventilation During the last two years of World War 2 (1939-1945), Seymour Kety and Carl Schmidt performed hyperventilation experiments upon conscientious objectors (Kety 1946). Military applications were part of the reason for these experiments. Their reasoning was that sometimes airplane crew flying at great height above Germany, might sometimes depend upon hyperventilation to prolong the period of useful consciousness, such as when oxygen delivery systems failed at high altitude, or when forced to abandon high flying aircraft after being hit by enemy fire. Regardless of these considerations, these experiments provided invaluable information regarding the manifestations of sudden onset of hyperventilation in normal young people, as well as the levels of carbon dioxide at which these manifestations occur. Kety and Schmidt found that clouding of consciousness and unconsciousness became increasingly likely when the carbon dioxide pressure fell below 30 mmHg (Kety 1946). This threshold was subsequently confirmed by Rafferty in 1992, who also found that all people developed neurological symptoms due to hyperventilation at a carbon dioxide pressure of 20 mmHg (Rafferty 1992). Mental effects of hyperventilation are very mixed. People with hyperventilation commonly describe symptoms such as disturbed mentation, impaired concentration, poor memory, and hallucinations. Feelings of depersonalization are also common, where hyperventilating persons describe sensations of unreality, or feeling everything is confused and dream-like. Visual experiences such as blurred vision, tunnel vision, flashing lights, and seeing double also occur (Evans 2005, Lum 1987, Perkin 1986). Extreme hyperventilation causes loss of consciousness in 31% of people with hyperventilation disorder (Perkin 1986), is occasionally observed during experimental hyperventilation (Kety 1946), and in some pregnant women hyperventilating due to labor pains (Burden 1994). But this is not all. Hyperventilation can sometimes even cause brain death. Death due to hyperventilation in the intensive care Even though hyperventilation is usually regarded as a mild problem, it can also cause brain death. But how? Some people with severe chronic obstructive pulmonary disease (COPD), develop respiratory failure as a result of lung infections. Respiratory failure means their lungs malfunction so severely that insufficient oxygen is absorbed into their blood to sustain life, and their diseased lungs are unable to eliminate all the carbon dioxide produced by their bodies. These people usually die if this situation is not corrected. So they are often admitted into an intensive care unit where they undergo mechanical ventilation of their lungs. 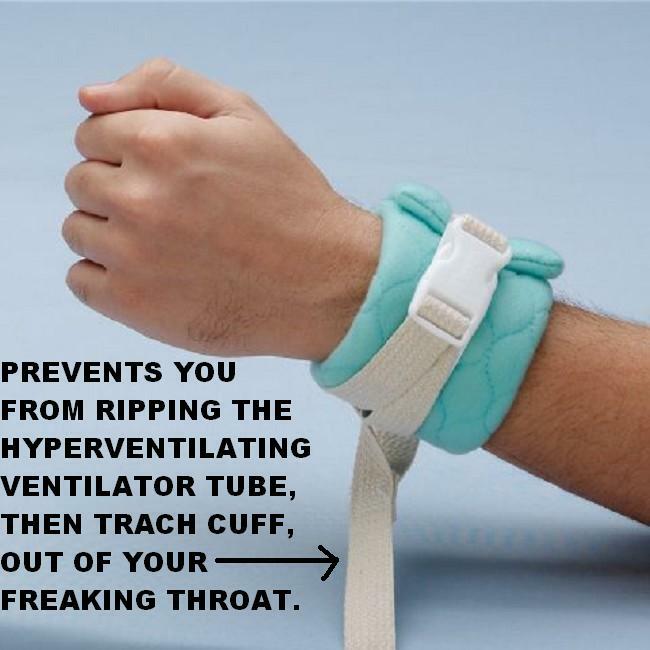 Mechanical ventilation is more efficient than normal respiration in these circumstances. It rapidly removes excess carbon dioxide from their bodies, ensures that sufficient oxygen enters their bodies, enabling these people to survive a period of temporarily worsened lung malfunction. This type of therapy has been available in many Western countries since the early 1960's. And it was during the 1960's that several reports were published of patients with severe COPD, who were admitted to an intensive care, underwent mechanical ventilation, and shortly afterwards developed unmanageable epileptic convulsions, severe brain damage, and even brain death (Kilburn 1966, Rotheram 1964). Relative hyperventilation was the cause of this dramatically tragic result of what is normally a life-saving therapy (Kilburn 1966, Rotheram 1964). Fortunately this occurs very rarely. Nonetheless, it does occur. So how can such tragedies occur? Hyperventilation-induced cerebral hypoxia Changes in body function caused by hyperventilation explain these deaths, as well as explaining the mental and visual manifestations of hyperventilation. As I explained earlier in this chapter, the acidity and alkalinity of bodily fluids is determined by the relative difference between the concentration of bicarbonate and the pressure of carbon dioxide as expressed by the Henderson-Hasselbach equation earlier this chapter. For the situation in arterial blood, the normal PCO2 = 40 mmHg, and the [HCO3-] = 24 millimoles, this means that the “bicarbonate / carbon dioxide ratio” is about 0.6. If the ratio is larger than 0.6, a fluid or tissue will be alkaline because this means there is less carbon dioxide due to hyperventilation. And when the ratio is less than 0.6, this means the fluid or tissue is acid. 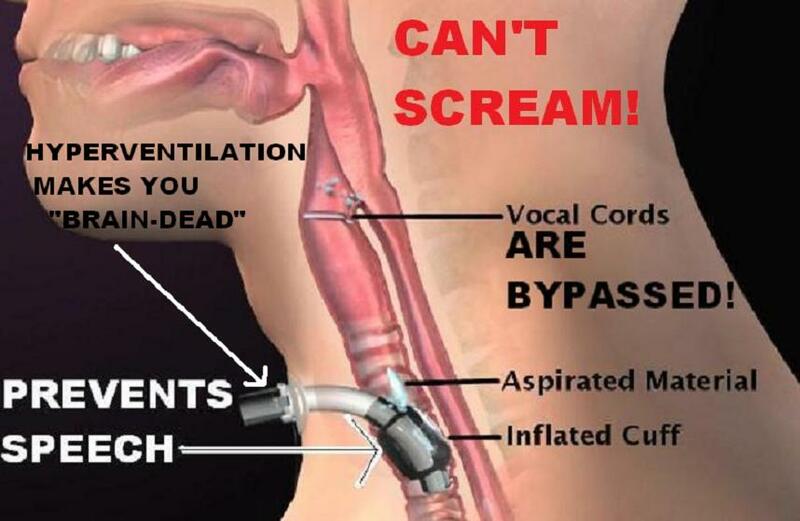 Chronic obstructive airways disease and hyperventilation Now people with severe chronic obstructive airways disease often have a higher than normal carbon dioxide concentration in their blood, simply because they cannot breathe deeply and rapidly enough to remove all the waste carbon dioxide from their bodies. And because the carbon dioxide concentration is higher than normal, this drives the chemical equilibrium to the right such that more carbonic acid is made. CO2 + H2O → H2CO3 → H+ + HCO3- The carbonic acid dissociates into hydrogen ion and bicarbonate ion. Eventually the relative concentrations of bicarbonate ion and the pressure of carbon dioxide are such that the ratio of 0.6 is achieved, and the pH once again equals 7.4. This is not something theoretical, but is a standard clinical truth seen in such persons and taught to medical students throughout the world. Here is an example. Consider the values for pH, carbon dioxide pressure, and bicarbonate concentration reported by Walmsley during 1985 in a man with severe chronic obstructive airways disease: pH = 7.42, PCO2 = 87 mmHg, [HCO3-] = 55 millimoles (Walmsley 1985). The bicarbonate / carbon dioxide ratio here = 55 / 87 = 0.63 = approximately normal. This is a classic example of how right-shifting of the chemical equilibrium increases the bicarbonate concentration, so normalizing the pH of this man's blood and body. Now just imagine this man was admitted to the intensive care with respiratory failure, where he was treated with mechanical ventilation of his lungs. Imagine that overenthusiastic physicians adjusted the mechanical ventilator such that his arterial carbon dioxide pressure was rapidly lowered to the normal level of 40 mmHg. Because carbon dioxide is more rapidly eliminated from the body than the bicarbonate concentration changes, the resulting bicarbonate / carbon dioxide ratio would be = 55 / 40 = 1.38, which indicates his blood would suddenly become very alkaline. If we calculate the exact pH, the resulting pH in his arterial blood would = 7.76. This means his blood would very rapidly become very alkaline indeed. This effect is true hyperventilation, because the change of carbon dioxide pressure is relative to the original carbon dioxide pressure in an abnormal equilibrium state. Such changes can profoundly affect the functioning of the body. But are these changes in body function important? And do these changes induce significant changes in body function? Cerebral blood flow and hyperventilation The flow of blood through the brain is called the “cerebral blood flow”. The normal flow of blood through the adult human brain is about 50 milliliters blood per 100 gm brain tissue per minute (50 ml/100 gm/min). During 1954, a medical scientist called Frank Finnerty determined the levels of cerebral blood flow at which cerebral hypoxia occurs in conscious people (Finnerty 1954). This experiment was performed according to the ethical standards of the day, using measurement techniques that are still the “golden standards” for the measurements he performed. Nowadays, most medical ethical committees would refuse permission to perform this experiment, so this was one of those enormously valuable, but unrepeatable experiments providing invaluable information about a fundamental property of the functioning of the human brain. The experiment was basically simple. He used a drug to lower the blood pressure of the experimental persons until symptoms of cerebral hypoxia occurred. Manifestations of cerebral hypoxia were defined as “sighing, yawning, staring, and confusion.” He found that the average level of cerebral blood flow at which cerebral hypoxia began to manifest was 31.5 ml/100 gm/min (Finnerty 1954). But this figure is an average, which means one half of all people developed manifestations of cerebral hypoxia at higher levels of cerebral blood flow, the other half at lower levels. So when you look at a graph of the distribution of levels of cerebral blood flow at which cerebral hypoxia occurred in this experiment, you see that significant numbers of people developed manifestations of cerebral hypoxia at cerebral blood flow at levels of even 40 ml/100 gm/min. The reverse is also true. About 10% of people are still conscious without any cerebral hypoxic symptoms at blood flow levels of 20-25 ml/100 gm/min, and about 5% are still conscious without any cerebral hypoxic symptoms at blood flow levels as low as 15-20 ml/100 gm/min (see Figure 5). Figure 5: Percentage distribution of cerebral blood flows at which symptoms of cerebral hypoxia without loss of consciousness occur in people of all age groups. Symptoms of cerebral hypoxia occur at an average cerebral blood flow of 31.5 ml/100 gm/min. The distribution of measurements around this average reveals that somewhat more than 10% of people are still conscious without any cerebral hypoxic symptoms at blood flow levels of 20-25 ml/100 gm/min, and about 5% are still conscious without any cerebral hypoxic symptoms at blood flow levels as low as 15-20 ml/100 gm/min (Finnerty 1954) (Figure � Woerlee). Human studies performed since the 1940's reveal that hyperventilation reduces the cerebral blood flow by causing constriction [narrowing] of the arteries supplying the brain with blood (Pierce 1962, Raichle 1972, Wollman 1965, Wollman 1968a). Seymour Kety devised the first accurate system for measuring the cerebral blood flow which is still the “golden standard” against which other techniques for measuring cerebral blood flow are compared. His articles are still as current and valuable as when they were published during the 1940's. He found that cerebral blood flow is directly related to the carbon dioxide pressure in the blood, and inversely related to the pH of the blood flowing through the arteries going to the brain (Kety 1946, Kety 1948). In other words, the lower the carbon dioxide pressure in the blood, the lower the cerebral blood flow. The studies of Kety clearly demonstrated that when hyperventilation caused the arterial carbon dioxide to drop below 30 mmHg, that the cerebral blood flow dropped below 40 ml/100 gm/min (Kety 1946), a cerebral blood flow threshold below which increasing numbers of people develop manifestations of cerebral hypoxia (Figure 6). And as mentioned earlier, all people develop neurological manifestations due to hyperventilation below an arterial carbon dioxide pressure of 20 mmHg (Rafferty 1992, and Figure 6). Figure 6: The effect of hyperventilation on the cerebral blood flow. The relationship between the carbon dioxide pressure in arterial blood and the cerebral blood flow in humans is as shown in this graph (Kety 1946, Kety 1948, Wollman 1965, Wollman 1968a). Extreme levels of hyperventilation, where the carbon dioxide pressure drops below 25-30 mmHg cause the cerebral blood flow to drop below 40 ml/100 gm/min, a level below which increasingly more people develop manifestations of cerebral hypoxia (Finnerty 1954) (Figure � Woerlee). Such low levels of arterial carbon dioxide pressure also cause cerebral blood flow to drop to levels at which cerebral hypoxia occurs (Figure 5). 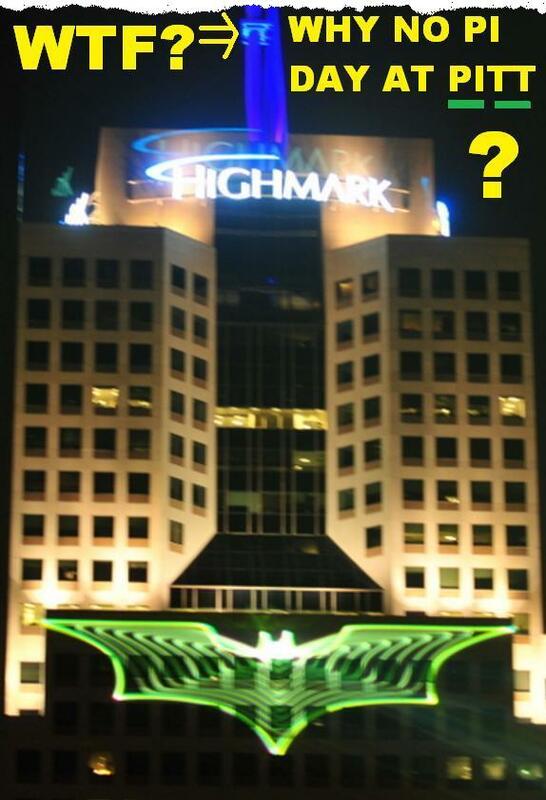 But are the cerebral manifestations of hyperventilation due to cerebral hypoxia? Binding of oxygen with hemoglobin provides further evidence that hyperventilation may well cause brain tissue hypoxia. Binding of oxygen to hemoglobin Blood is not a wondrous fluid with magical properties. Instead blood is a transport fluid. It transports oxygen, electrolytes, proteins, hormones, fats and sugars to tissues, and removes waste products of metabolism, hormones, products of metabolisms, etc away from tissues. Oxygen is transported by blood from the lungs where it enters the body. However oxygen is very poorly soluble in blood, and blood contains negligible amounts of dissolved oxygen. Practically all oxygen in blood is chemically bound to hemoglobin inside red blood cells. But the chemical binding of oxygen with hemoglobin is directly affected by the acidity and alkalinity of blood (i.e. the pH of blood). Hyperventilation causes loss of carbon dioxide from the body, causing the pH of blood to increase and become more alkaline. When blood is more alkaline, hemoglobin binds more tightly with oxygen. Oxygen bound to hemoglobin within red blood cells does nothing, because binding of oxygen to hemoglobin within red blood cells is no more than the body's method of transporting oxygen to the capillaries within the tissues of the body. Within the capillaries of the tissues of the body, the chemical bond between oxygen and hemoglobin is weak enough to allow oxygen to leave the blood and diffuse into the cells surrounding the capillaries, so providing oxygen for the vital, energy-generating chemical processes within the cells forming the tissues of the body. But when hyperventilation causes oxygen to bind more tightly to hemoglobin, less oxygen is released to diffuse into the tissues surrounding the capillaries. The oxyhemoglobin saturation curve demonstrates this effect, showing that hemoglobin binds oxygen more tightly during hyperventilation (Figure 7). This is why hyperventilation can cause less oxygen to enter the tissues of the body from the capillaries, so resulting in hypoxia of the cells outside the blood vessels, even though the blood contains more than sufficient oxygen. Figure 7: Oxyhemoglobin saturation curve showing how the binding of hemoglobin with oxygen changes during hyperventilation. For example, if the oxygen pressure is 40 mmHg, the pH and everything else is normal, then hemoglobin is about 75% saturated. But during extreme hyperventilation when the PCO2 = 20 mmHg, the chemical binding of hemoglobin with oxygen is much stronger, and hemoglobin is almost 90% saturated at an oxygen pressure of 40 mmHg. (Figure � Woerlee). Hyperventilation causes cerebral hypoxia But does hyperventilation cause cerebral hypoxia? 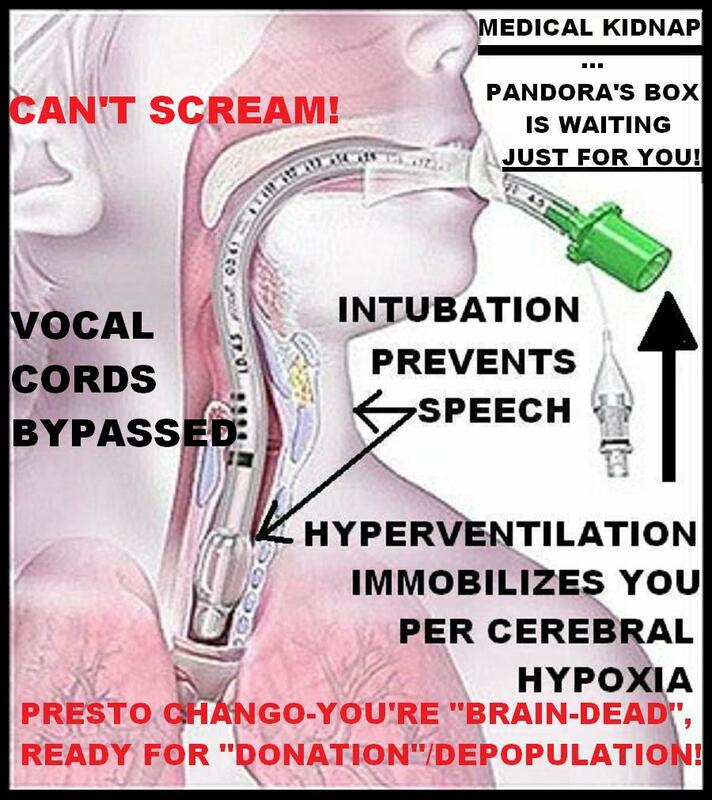 Hyperventilation has profound effects on the transport and delivery of oxygen to the tissues of the body. Hyperventilation reduces the cerebral blood flow, and to make matters worse, hyperventilation also causes oxygen to bind more tightly with hemoglobin. Both factors combine to reduce the availability of oxygen to the tissues of the brain, and can even cause cerebral hypoxia. Animal studies reveal that extreme hyperventilation does indeed cause cerebral hypoxia (Clausen 2004, Sugioka 1960). The tragic fatal effects of relative hyperventilation in humans with severe chronic obstructive airway disease, also reveals that hyperventilation in humans can result in cerebral hypoxia severe enough to cause actual brain damage and brain death (Kilburn 1966, Rotheram 1964). Furthermore, hyperventilation has also been implicated as one of the potential causes of postoperative cognitive dysfunction. Hyperventilation-induced frontal lobe failure This last remark brings us to the effects of hyperventilation on conscious mental function. These were discussed earlier in this chapter and consist of manifestations such as: disturbed mentation, impaired concentration, poor memory, and hallucinations. Feelings of depersonalization are also common, as hyperventilating persons often describe sensations of unreality, or feeling everything is confused and dream-like. Many of these conscious mental experiences and manifestations are similar to those of cerebral hypoxia (see Chapter 4). And during extreme degrees of hyperventilation, the degree of cerebral hypoxia may be sufficient to cause loss of consciousness. But is this true for lesser degrees of hyperventilation? Figure 8: The basic regions / lobes of the surface, (or cortex) of the brain. (Figure � Woerlee). The effects of hyperventilation upon the human brain have been studied intensively for many years. As long ago as the 1940's, hyperventilation was known to cause high amplitude, low frequency delta waves [waves with a frequency of 1-4 Hertz] to manifest in the electroencephalograph of the frontal lobes of the brains of conscious persons (Davis 1942, Meyer 1960, Stoddart 1967, Worp 1991). However, the appearance of delta waves is unrelated to the degree of lowering of arterial carbon dioxide pressure, or the pH increase due to hyperventilation, but is directly related to the occurrence of cerebral hypoxia induced by hyperventilation (Gotoh 1965). Hyperventilation does not only reduce the total cerebral blood flow, but also changes the distribution of blood flow within the brain. Modern studies reveal that blood flow to the frontal, occipital, and parieto-occipital cortex (see Figure 8), as well as the hippocampus is reduced relative to other areas of the brain within seconds to minutes of commencing hyperventilation (Naganawa 2002, Posse 1997). These relative changes in blood flow and electroencephalogram reflect reduced activity in these regions of the brain. The frontal lobes of the brain are required for cognitive functions such as memory, experience of time, directed attention, reflective consciousness, and the idea of self (Dietrich 2003). So hyperventilation induced cognitive changes such as disturbed mentation, impaired concentration, and poor memory, are readily explained by reduced frontal cortical function - nicely termed “transient hypofrontality” (Dietrich 2003). The occipital cortex performs primary and secondary visual processing, while the parieto-occipital cortex integrates body sensory information into the body image (Blanke 2005, Maravita 2003). Reduced function in these regions of the brain certainly explains other experiences occurring during hyperventilation, such as visual hallucinations, feelings of depersonalization, or feeling that everything is confused and dream-like. All these things mean hyperventilation can temporarily induce profound changes in brain function and the resulting conscious mental function. These effects even form the basis for a particular form of psychotherapy during which patients perform prolonged hyperventilation - a therapy called “Holotropic Breathwork” (Rhinwine 2007). As a simple and blunt anesthesiologist, I am unable to make any serious assessment of this form of psychotherapy, but this use of the conscious mental effects of hyperventilation is certainly interesting. Drowning and hyperventilation Most swimmers know that a short period of hyperventilation prior to diving allows them to extend the period they can spend underwater. But this not a safe technique, because sometimes people who hyperventilate prior to diving lose consciousness and drown while underwater (Craig 1976). Part of the reason why this technique works is the fact that breathing is mainly regulated by the pressure of carbon dioxide in the blood. Increased carbon dioxide pressures in arterial blood stimulates breathing, and generates a desire to breathe. Decreased carbon dioxide pressure in blood causes breathing to slow, reducing the urge to breathe, sometimes entirely removing the urge to breathe (Meah 1994). Arterial blood oxygen pressures measured in divers forced to surface due to the necessity to take a breath after prolonged dives preceded by hyperventilation, are sometimes low enough to cause loss of motor control (Lindholm 2006), and sometimes even low enough to cause loss of consciousness in some people (Craig 1961, Lindholm 2006). Loss of consciousness due to hypoxia is insidious, and is preceded by changes in mental state whereby affected people experience loss of insight, together with feelings of wellbeing (page 300 in Liere 1963). This explains why many people do not even realize they are about to lose consciousness due to hypoxia. This is the reason why some people who hyperventilate prior to an underwater dive, sometimes lose consciousness due to cerebral hypoxia before feeling the necessity to surface and breathe. And once they lose consciousness while underwater, they subsequently drown if not rescued (Craig 1976). 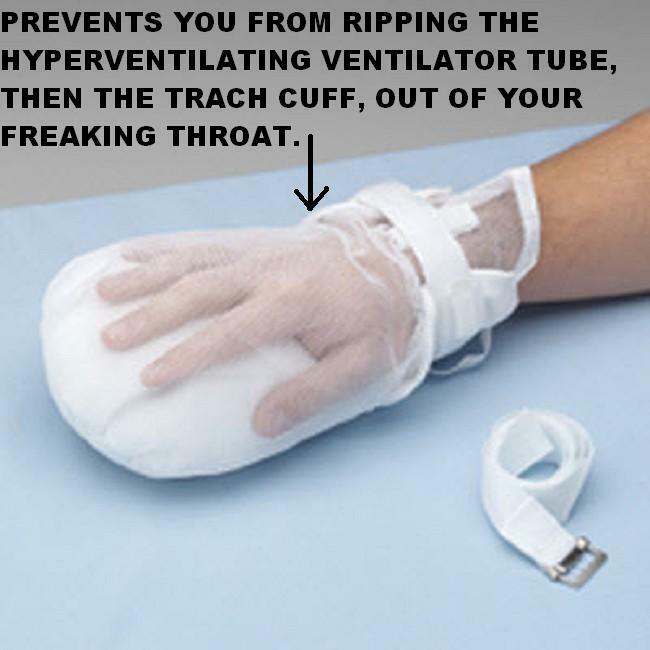 However, anesthesiologists regard hyperventilation as a useful technique. Hyperventilation during general anesthesia Anesthesiologists often exploit the various properties of hyperventilation during general anesthesia. For example: During neurosurgical operations on the brain, anesthesiologists often apply hyperventilation to cause constriction of the blood vessels of the brain. This reduces the volume of blood inside blood vessels within the substance of the brain, so reducing the volume of the brain. Constriction of blood vessels also reduces bleeding. The combination of both effects results in better operating conditions for the neurosurgeon. Hyperventilation below an arterial carbon dioxide pressure of 30 mmHg reduces the level of consciousness, and sometimes even induces loss of consciousness. One consequence of this is a reduction of drug dosages required for general anesthesia. Hyperventilation is sometimes used at the end of operations to reduce the level of consciousness, as well as to prolong and intensify the actions of residual concentrations of anesthetic drugs. This last point is fascinating. How can hyperventilation intensify and prolong the actions of anesthetic drugs? The answer lies in the chemical nature of anesthetic drugs. Most drugs and most organic compounds are either weak acids or weak bases. Anesthetic drugs are no different. In fact, except for thiopental, all anesthetic drugs are bases. Now a base interacts with water molecules to form an equilibrium between an ionized form and a non-ionized form. Just look at this chemical equilibrium where “H2O” is water, and “B” is the base molecule or drug. When such a weak base dissolves in water, it interacts with water to acquire a hydrogen ion (H+), resulting in a free negatively charged hydroxyl ion (OH) in the following manner. B + H2O ⇔ BH+ + OH- For example, morphine is just such a weak base, so the interaction with water is just the same, and forms an equilibrium as below where the proportions ionized and unionized morphine are constant at each pH level. Morphine + H2O ⇔ MorphineH+ + OH- Morphine is a weak base. So when blood becomes more acid, (i.e. the pH decreases), a greater proportion of morphine exists in the ionized form. On the other hand, when blood becomes more alkaline and the pH increases, a smaller proportion of morphine exists in the ionized form. The same is true for all other anesthetic drugs except for thiopental. This may sound like a chemical subtlety of little practical consequence, but the concept of ionization of drugs used in anesthesia has important practical consequences. Anesthetic drugs do not cause sleep by acting upon blood cells or blood vessels: anesthetic drugs do not cause muscle paralysis by acting on blood cells or blood vessels: and anesthetic drugs do not relieve pain by acting upon blood cells or blood vessels. Instead, anesthetic drugs cause all these effects by acting upon nerve cells which are located outside and around blood vessels. And anesthetic drugs must somehow diffuse out of the blood vessels transporting them to get to the nerve cells outside. Brain capillaries only permit the passage of non-ionized drug molecules into the substance of the brain, and many anesthesiologists exploit this latter fact to prolong the effects of general anesthesia under some circumstances. One of these circumstances is the period near the end of an operation. At the end of an operation, a patient must be quickly aroused and transported out of the operating theater to the recovery room, so that the next patient can be brought into the operating theater to undergo an operation. So towards the end of an operation, anesthesiologists always try to lower the concentrations of drugs used for general anesthesia so that the patients will awaken more rapidly. They use measurements as well as clinical experience to estimate whether their patients will remain under general anesthesia sufficiently long for the surgeon to finish before they awaken. This is where anesthesia becomes an art form akin to cooking or music. Unfortunately some patients begin to react to the pain of surgery at this time. This leaves the anesthesiologist with three choices of action: Deepen the general anesthetic to the same level as during the middle of the operation. But this means that the time to awakening at the end of the operation will be longer than normal, resulting in a very slow operating program, from which one or more patients may have to be cancelled due to lack of time. Administration of repeated small doses of an anesthetic drug such as thiopental or propofol, sometimes together with an opiate. This is often a good choice, because patients usually awaken quickly after this technique, provided the surgeon does not take his time closing the wounds. Regrettably, some surgeons do take their time, ignoring anesthesiologists telling them to hurry. Hyperventilate the patient until the surgeon is finished. This is a practical and commonly used technique when combined with small doses of thiopental or propofol. Hyperventilation, not only reduces the level of consciousness, but also increases the proportion of non-ionized opiates already present in blood. This means more of these opiates can enter the brain, resulting in higher brain concentrations of opiates such as morphine (Nishitateno 1979), sufentanil (Matteo 1992), and fentanyl (Ainslie 1979). The same effect is also true for all other anesthetic drugs, except for thiopental. This relative increase in non-ionized concentrations of weakly basic drugs is one of the reasons why hyperventilation potentiates the effects of most anesthetic drugs. Final remarks on hyperventilation This brief discussion of the properties and consequences of hyperventilation reveal it to be almost “magical” in the extent of the extensive changes it induces in body and mental function. And the most magical aspect of hyperventilation, is how something as simple as breathing deeply and quickly, can induce such profound effects upon the functioning of the body, as well as the functioning of the conscious mind. Hyperventilation is still applied during some types of surgery performed under general anesthesia, but when injudiciously applied is detrimental, yet when applied appropiately is a useful addition to the anesthesiological amamentarium. EMILY MARBURGER (MAYOR OF BELLEVUE 15202) NEEDS TO END THE MEDICAL HOLOCAUST IN "OUR TOWN"... ORGAN PRINTING: THE STEM CELL CONUNDRUM INTRODUCTION: ORGAN PRINTING: METHODS AND PRESENTATION Advances in bioprinting, have brought along with them many great aspects that can improve the quality of life of many people, including the ability to create new tissues and even new organs for people who have been injured or sick. Bioprinting is an innovation in biomedical and tissue engineering in which biological tissues such as skin and organs are printed from a three-dimensional bioprinter. Using live cells as the material to be printed with . However, at this point in time, the development has reached an ethical crossroad in the process of creating fully formed three-dimensional working organs. While working in the organ printing department of a research facility for tissue engineering, the suggestion of the incorporation of human embryonic stem cells into the process of growing cells and printing organs. The integration of human embryonic stem cells into the cultures dramatically increases the yield of cells, which can be used to print organs; however, there is no dependent source of human embryonic stem cells that would not cause for an ethical dilemma within both the company and the public. One of the main sources of embryonic stem cells that are used in research nowadays is the collection of cells from abortion . An agreement is made with clinics throughout the US to hand over excess stem cells and artificially inseminated eggs to our company to be cultured and grown, in order to create an abundance of human embryonic stem cells that could be used for printing organs. With the introduction of stems cells, the research rates would increase exponentially and, after the initial testing period, in which fully printed organs were tested in animals, the finished products would be put on the market. When asked about the source of the cells used, I have been instructed to let it be known that human embryonic stem cells are used, however it is not allowed to let it known that these stem cells are coming from the abortions being performed throughout the United States, because of the amount of controversy that it would cause would most likely shut down the entire operation. Looking at this situation from the perspective of a biomedical engineer, who is bound by the code of ethics for both the National Society of Professional Engineers (NSPE) and the Biomedical Engineering Society (BMES), it would be a difficult decision to make because of the conflicting aspects of the situation. Having the ability to print organs from scratch is an invaluable technique to have, and it could help endless amounts of people; however, each person who is receiving one of the organs deserves to know the true origin of the cells that are being put into their body. I, personally, would agree with the use of human embryonic stem cells in the printing of organs, but I would not agree to this situation because it contains far too many violations of the both codes of ethics and overall is a dishonest situation. USE OF HUMAN EMBRYONIC STEM CELLS Printing an organ is an extremely complex process that requires much more than just living cells and a 3-D bio printer . Three-dimensional printing is the process in which a 3-D printer lays a type of material in multiple layers of a two dimensional cross section to form a three dimensional object . When an organ is printed, the cells must be positioned on top of each other in a certain way to allow them to fuse together into a working organ . With the introduction of human embryonic stem cells into the process, not only would the cells be better suited for the task at hand, more cells would also be able to be cultured from the stem cells at a faster rate . Many controversial theories have arisen in the general public about the origin of the cells to be used for organ printing. The most prevalent of the theories is the use of the human embryonic stem cells, which come from abortions, in order to grow the cells used to print organs . Though this may not seem immoral, considering these cells are not being put to use in any other way, one of the main concerns was the idea of this being incentive for institutes to increase the number of abortions they perform; however, in this situation, that is not an issue because of the wide range of locations across the United States from which these cells can be gained. According to Dr. Courtney Farrell, author of the article “Stem Cell Research”, the use of human embryonic stem cells is widely disapproved of in the general public of because of the theory that life begins at the moment of conception . This creates a dynamic between the fetus and the person getting the organ because that would be valuing one life over another, which is the root of the problem for many of the people who are currently opposed to the situation in this instance. The situation is then exacerbated by the fact that there is the possibility that abortions are beginning to take place for the sole purpose of gaining human embryonic stem cells, which would not be a step in the positive direction. Looking at the situation from an engineering point of view, according to one of the fundamental canons of the code of ethics for engineers from the National Society of Professional Engineers, an engineer must always view a situation in which the safety, health and welfare of the public is held above all other aspects . The introduction of human embryonic stem cells greatly increases the chance that an organ would be successfully printed, which would be considerate of the health and welfare of the general public; however, if the cells are being cultured in a suspicious manner, that could possibly be dangerous to the health and safety of the public, then as an engineer, I cannot support this process because it is a direct violation of the code of ethics. Nonetheless, if the use of embryonic stem cells were to increase the chance that organs would be able to be printed, then from an engineer’s point of view, those cells should be used. Each day, 115,000 people are in need of a lifesaving organ transplant, in the United States, but are unable to get them because of lack of access . On average, 18 people die, each day, due to lack of available organs for transplant, and the need for organs is rising each day. According to the statistics at DonateLife.net, “in 2012 there were 14,013 organ donors resulting in 28,052 organ transplants” . The need for organs is vastly outracing the amount of organs and organ donors; therefore, organ printing would be a good investment of the time and resources, at least to close the gap between the amount of people who need organs and the amount of organs that are available. Withholding the ability to print organs because of the religious beliefs of the few who are opposed to the use of stem cells would not be abiding by the code of ethics for engineers. It would be in the interest of the health and welfare of the public to incorporate human embryonic stem cells into the process of organ printing because of the potential amount of lives it would be able to save through the three-dimensional printing of organs. ANIMAL TESTING Once organ printing is fully developed, and some of the prototypes are put into practice, many fear that the use of animals for testing will become a problem. Animal testing has become a normal process in the research process of today’s society, yet it is still heavily debated and protested by many people around the world . Again, looking at it from an engineering perspective, in terms of the code of ethics from the National Society of Professional Engineers, the health and welfare of the public must be held paramount over other aspects; however, as stated in the code of ethics for biomedical engineers, as put forth by the Biomedical Engineering Society, a biomedical engineer must “Comply fully with legal, ethical, institutional, governmental, and other applicable research guidelines, respecting the rights of and exercising the responsibilities to colleagues, human and animal subjects and the scientific and general public” . Animals have rights also, and they deserve to be treated a certain way, even if they are being used for scientific research. There is a certain standard of living that is would be considered as respecting the rights of an animal. Therefore, if the conditions and the treatment of the animals were unacceptable during the time of the testing, I would not be able to support that process because it would be against the Biomedical engineering research obligations. But in this situation, it is easy enough to ensure the correct treatment of the animals in which the organs are being tested so that would not be a valid reason for the initial testing of the organs to be halted. Organ printing is a technology that has the potential to change the world by saving many innocent lives. I am not advocating for animal testing when it comes to testing the organs produced by organ printing, but if this technology truly has the potential to make such a big difference, then it is plausible to use a certain amount of animal testing in a controlled environment and manner if it is necessary. PRESENTATION OF INFORMATION The methods of the research facility to obtain their findings and discoveries are sound; however the way in which they chose to present it is somewhat questionable. They want to present their discoveries to the market as three-dimensional printed organs containing human embryonic stem cells, but they are tentative to reveal the origins of those cells as being the results of abortions, out of fear that it would not go over well with the public. Selectively withholding information about their product would create a very bad situation for many people, especially those who were extremely opposed to the idea of using human embryonic stem cells. Not only is that dishonest and dangerous for the people who are getting the printed organs made from stem cells, but it is also a violation of the code of ethics for both the Biomedical Engineering Society and the National Society of Professional Engineers. The code of ethics for the Biomedical engineering society clearly states that all biomedical engineers involved in health care activities shall “regard responsibility toward and rights of patients, including those of confidentiality and privacy, as their primary concern” meaning, in this situation, that the confidentiality between patient and the person giving them the organ, that could potentially save their life, should extend to telling them the full truth about the origins of the cells that will soon be in their body in the form of a three-dimensionally printed organ . Such dishonesty between the company and the patient is unacceptable. Also, according canons of the code of ethics put forth by the National Society of Professional Engineers, engineers are to avoid deceptive acts . Omitting such a large part of the information on something that is going to become an integral part of another person is definitely a deceptive act, because it doesn’t allow the consumer to make an informed decision on whether or not they want it. An engineer is commissioned to create the technologies that are in the best interest of the health and welfare of the public. If the people choose not to use the technologies for personal reasons then that is not the jurisdiction of the engineer. If a technology is chosen based on a false or not completely true pretense, then that is not in the best interest of the public in any way. The code of ethics then goes on to say, “Engineers shall avoid the use of statements containing a material misrepresentation of fact or omitting a material fact,” which reiterates the aforementioned point . It is an utter violation of the engineering code of ethics to omit such an important fact, especially when lives could be at stake because of it. CONCLUSION Organ printing shows promise as a new innovative technology, that has the potential to help countless numbers of people; however, there are some who are opposed to the idea of organ printing, and rally for the stopping of research into the topic. However, in this scenario, in which a certain type of human embryonic stem cells are being added to the organs without the knowledge of the people who are accepting these organs, organ printing has shown itself to be a very ethically charged scenario. It is very important to consider the ethical side of any situation, especially in situations concerning the innocent lives of patients, because codes of ethics for engineers were made to protect the general public from the dangers of the field. It is completely unethical according to both codes of ethics for all engineers and more specifically biomedical engineers. The logical solution to this scenario would be to discontinue research and progress until the research facility found a better way to present their methods to the public. Even though the technology for printing organs has the potential to help many people, it would be counteractive to deceive the public into using something they may not want to use. Susan Lindauer (born July 17, 1963) is an American antiwar activist and former U.S. Congressional staffer who was charged with "acting as an unregistered agent of a foreign government" and violating U.S. financial sanctions during the run-up to the 2003 invasion of Iraq. She was incarcerated in 2005 and released the next year after two judges ruled her mentally unfit to stand trial. The government dropped the prosecution in 2009. In 2010, Lindauer published a book about her experiences. Since 2011 Lindauer has appeared frequently on television and in print as a U.S. government critic. Contents [hide] 1	Early life and education 2	Career 3	Interest in the Middle East 4	Arrest, incarceration and release 5	Book and subsequent claims 6	Television Personality and U.S. government critic 7	References 8	External links Early life and education Lindauer is the daughter of John Howard Lindauer II, a newspaper publisher and former Republican nominee for Governor of Alaska. Her mother, Jackie Lindauer, died of cancer in 1992. In 1995, her father married Dorothy Oremus, a Chicago attorney. Lindauer attended East Anchorage High School in Anchorage, Alaska, where she was an honor student and was in school plays. She graduated from Smith College in 1985 and then earned a master's degree in public policy from the London School of Economics. Career Lindauer began in journalism working as a temporary reporter at the Seattle Post-Intelligencer in 1987, and as an editorial writer at The Everett Herald in Everett, Washington until 1989. She later worked as a reporter and researcher at U.S. News & World Report in 1990 and 1991. Lindauer worked as a Congressional staffer for Representative Peter DeFazio (D-OR, 1993) and then Representative Ron Wyden (D-OR, 1994) before joining the office of Senator Carol Moseley Braun (D-IL), where she worked as a press secretary and speech writer. She served as Press Secretary for Representative Zoe Lofgren (D-CA) from March 11, 2002 to May 14, 2002. Interest in the Middle East In November 1993, a friend of Lindauer's father introduced her to former Vietnam combat pilot Paul Hoven, at a restaurant next to the Heritage Foundation in Virginia. She began socialising in an informal circle of conservatives interested in counterterrorism, including Capitol Hill staff and intelligence community members. These included Dr. Richard Fuisz and senior Congressional staffer Kelly O'Meara. At the time of Lindauer's first meeting with Fuisz, theories of the bombing of Pan Am Flight 103 in 1988 were divided between blaming the Libyan government under Moammar Gaddafi and the Syrian Ahmed Jabril. Lindauer said that Fuisz had shared with her a theory that did not hold Libya to blame. Lindauer and Fuisz said they met an average of once per week from 1994 to 2001, and Lindauer has described Fuisz as "my contact with the CIA." In 2000, the Sunday Herald in Scotland reported that Fuisz had been an operative for the CIA in Damascus during the 1980s. Fuisz did not confirm or deny this, saying he was not permitted to speak about it. Lindauer said she began making visits to the Libyan mission at the United Nations (UN) in 1995 and with Iraqis at the UN in 1996. In 2000, she told Middle East Intelligence Bulletin that she had been subject to surveillance, threats, and was attacked after meeting Libyan officials in 1995 to discuss what she had learned about the Flight 103 bombing. On November 26, 2000, then President-elect George W. Bush appointed Lindauer's second cousin, Andrew Card, as White House Chief of Staff upon his inauguration. Card had previously served as Deputy Chief of Staff and Secretary of Transportation for George H. W. Bush, and had been selected by George W. Bush to run the 2000 Republican National Convention. Starting in 2000, Lindauer delivered multiple letters to Card, leaving them on the doorstep of his home in Northern Virginia. In her letters, she urged Card to intercede with President George W. Bush not to invade Iraq, and offered to act as a back channel in negotiations. Over approximately two years, Lindauer wrote Card a total of eleven letters, the last on January 6, 2003, two months before the invasion of Iraq. 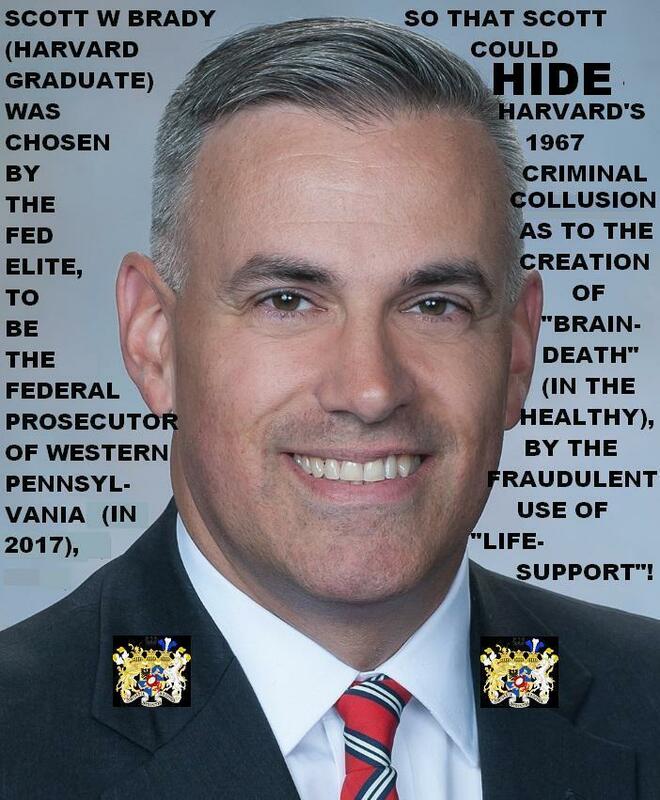 Card later told the FBI that Lindauer had tried to contact him several times, but according to a statement by White House spokesman Scott McClellan, Card did not recall seeing or talking to Lindauer after the January 2001 inauguration. In a 2008 hearing, one of Lindauer's associates testified that she had mentioned an imminent attack on Manhattan with airplanes in 2001. Lindauer, in her book, claims that she was asked by Fuisz to ask the Iraqi diplomats if they knew about an imminent attack. According to Lindauer, pre-9/11 information was part of her work with Fuisz. Fuisz's interactions with Lindauer ended in 2001, i.e. 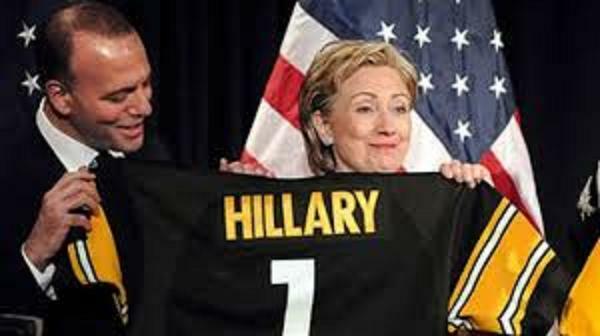 he had a falling out with Lindauer after the September 11th attacks in 2001, no longer welcoming her to his office. He said that before the attacks she was "Arabist, but Arabist from the standpoint of trying to lift sanctions, so that children would do better, and trying to get medicines into countries -- principally I'm talking about Iraq and Libya." Lindauer described her falling out with Fuisz in a 2009 interview, saying that it had been in regard to the approach taken in reacting to the possibility of an imminent attack. He said that after September 11, "Susan, in her discussions, went from benign, in my opinion, to malignant... These discussions changed and now involved a very strong seditious bent." Arrest, incarceration and release On March 11, 2004, Lindauer was arrested in Takoma Park, Maryland by the Federal Bureau of Investigation (FBI). She was taken to the FBI office in Baltimore. Outside of this office, she told WBAL-TV: "I'm an antiwar activist and I'm innocent. I did more to stop terrorism in this country than anybody else. I have done good things for this country. I worked to get weapons inspectors back to Iraq when everybody else said it was impossible." Lindauer was indicted by a grand jury for "acting as an unregistered agent of a foreign government", an accusation usually made against foreign spies. For this reason, the media wrote much about her being accused of spying. Lindauer stated she was charged (and held in detention) under the USA PATRIOT Act. The indictment against Lindauer alleged that she accepted US$10,000 from the Iraqi Intelligence Service in 2002. Lindauer denied receiving the money, but confirmed taking a trip to Baghdad. Lindauer was also accused of meeting with an FBI agent posing as a Libyan, with whom she spoke about the "need for plans and foreign resources to support resistance groups operating in Iraq." Lindauer said she went to the meeting because of her interest in filing a war crimes suit against the U.S. and U.K. governments. Pursuant to Lindauer's arrest, Congresswoman Lofgren released a statement saying she was "shocked" by the arrest, that she had no evidence of illicit activities by Lindauer, and that she would cooperate with the investigation. Robert Precht, an Assistant Dean of the University of Michigan Law School, said the charges were "weak" and that Lindauer was more likely a "misguided peacenik". Lindauer was released on bond on March 13, 2004 to attend an arraignment the following week. Sanford Talkin of New York was appointed by the court as her lawyer. Lindauer claimed she was conducting peace negotiations with representatives of several Muslim countries (including Iraq, Libya, Malaysia, and Yemen) in New York. According to transcripts Lindauer presented to the New York Times in 2004, these included meetings with Iraqi Muthanna al-Hanooti, a peace activist later accused of spying. Lindauer also said that the U.S. intelligence community was aware of these meetings and was monitoring her. President George W. Bush listens to remarks by Mukasey after announcing his nomination to be Attorney General. In 2005, Lindauer was incarcerated at Carswell Air Force Base in Fort Worth, Texas, for psychological evaluation. She was then moved to the Metropolitan Correctional Center in Manhattan. In 2006, she was released after judge Michael B. Mukasey ruled that Lindauer was unfit to stand trial. He noted that the severity of Lindauer's mental illness, which he described as a "lengthy delusional history", weakened the prosecution's case. In his decision he wrote, "Lindauer ... could not act successfully as an agent of the Iraqi government without in some way influencing normal people .... There is no indication that Lindauer ever came close to influencing anyone, or could have. The indictment charges only what it describes as an unsuccessful attempt to influence an unnamed government official, and the record shows that even lay people recognize that she is seriously disturbed." During Lindauer's incarceration she refused antipsychotic medication which the United States Department of Justice claimed would render her competent to stand trial. Judge Mukasey would not allow her to be forcibly medicated, as requested by the prosecution. At a hearing in June 2008, Lindauer told reporters that she had been a CIA asset and said she had "been hung out to dry and scapegoated". In 2008, Justice Loretta A. Preska of the Federal District Court in New York City reaffirmed that Lindauer was mentally unfit to stand trial, despite Lindauer's insistence to the contrary. Preska ruled that Lindauer's belief in her connection to the intelligence community was evidence of her insanity. Testifying before Loretta Preska, the New York Times reported that Lindauer, "... angrily contested an accusation in her indictment that she had illegally lunched with Iraqi intelligence operatives." On January 16, 2009, the government decided to not continue with the prosecution saying, "prosecuting Lindauer would no longer be in the interests of justice." Book and subsequent claims In 2010, Lindauer self-published a book about her experience titled Extreme Prejudice: The Terrifying Story of the Patriot Act and the Cover-Ups of 9/11 and Iraq. Lindauer wrote that for a number of years she had worked for the CIA and DIA undertaking communications with the Iraqi government and serving as a back-channel in U.S. government negotiations. In October 2012 she denied in an e-mail being the author of the Markovian Parallax Denigrate Usenet postings of August 5, 1996. The meaning of the cryptic posts, if any, remains a mystery. Television Personality and U.S. government critic Since 2011, Lindauer has repeatedly appeared on Russia Today news, in television and in print where she is presented as an expert on Libya, Iraq and Yemen also as a commentator on U.S. government operations. Lindauer's story was profiled on the English-language Iranian television show The Autograph on Press TV-Iran in 2011... PITTBIRD 911 KITES GO 2001 FEET ALTITUDE!